The initial aim of the thesis is to provide new findings in term of power cable sizing adjustment which later is deemed right for normal operating purposes. A – To obtain a certain value of constant, K which can be use in determining appropriate size of power cable that is being subjected to harmonic influence. The constant also take issues of safety and reliability into consideration. B – To investigate the correlation between THD content (harmonic in percentage) to the temperature properties of power cable. This is made possible by designing a specific experiment for this purpose. 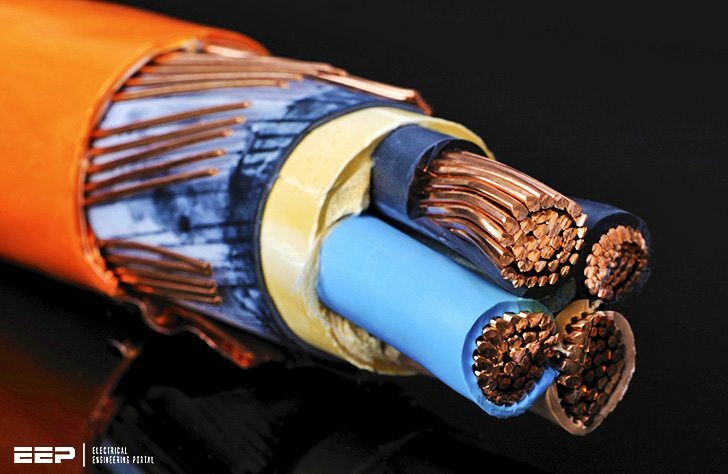 C – To perform a method of selection of power cable size that is deemed safe and proportional to the ability to contain particular magnitude of current. The problem with harmonic existence in power cables is that every component which frequency is dependent, namely current and voltage is easily manipulated. As the frequency rises, magnitude of current also increases and the temperature heats up. The heat variable in power cable is the result of I2R loss where the losses are normal if harmonic current is none, which is understandably correct as the cable is delivering sinusoidal fundamental current. However, under harmonic influence, the loss is no longer the same as the sinusoidal current transmission loss as in the power cable, there is a combination of fundamental and harmonic current. The additional harmonic current certainly causes more loss and it is a concern of the thesis. Thus, this thesis tends to concentrate on the determination of proper sizing of power cable, subject to the harmonic content. The correlation between THD and temperature properties of power cable is found by experiments performed during data collection process. The project conducted thorough examination upon cable size(s) that seemed to be able to contain additional magnitude of current and the resulting loss (temperature) under harmonic influence. Historically, power cable sizing, especially neutral line is based on the understanding of the harmonic current can be at most, 1.73 times the phase current (Gruzs, 1990). Meaning, the usual sizing would be the neutral cable to be twice the same of phase current, and eliminating every possibility that harmonic may cause the magnitude to be higher than two times phase current. A certain calculation of ampacities and sizing of line and neutral cable in the presence of harmonics has open the path of determining the exact requirement in term of cable sizing toward certain amount of harmonic (Hiranandani, 1995). Under normal working ampacity of cable, the loss is already predicted by the manufacturers. The information provides manufacturers valuable information to design their products and market them accordingly. However, by stating normal working ampicity, it is known that it is meant for sinusoidal current or voltage, thus the loss of the power cable is meant for non harmonic environment. Under harmonic influence, the predicted loss is no longer applicable as there is harmonic current and the fundamental sinusoidal current delivered by the cable. Thus, the loss supposedly increased to a certain magnitude. The resultant loss needed to be investigated so that the maximum permissible loss is not exceeded or else the operation of cable is under possible severe damage. I couldn’t get past the line “As the frequency rises, magnitude of current also increases and the temperature heats up” which is incomplete to the point of being misleading. Thanks to Muhammad. This manuscripts become an actual data reference estimating that the energy demand is actually non lineal- entity. The article is very useful more so when the world is going digital but many times our designers are still conventional. Rules of the game is changing very fast and we can see that in increasing fire incidents. Good to share and inspiring too. Thanks to the author for nice facilitation.